Images and video from our schools. Pablo Yang teaching an older gentleman how to play. We do not have a policy of turning away those who want to learn. Speaking with children at the Hoi An Orphaned Child Center, where our third school site will open serving 80 orphans, 20 of whom have disabilities. Our first classroom in Phong Nha. The school is situated in what is literally a scrapyard, where recycling is collected. Our class is in the street, next to bags of scrap metal and plastic bottles. 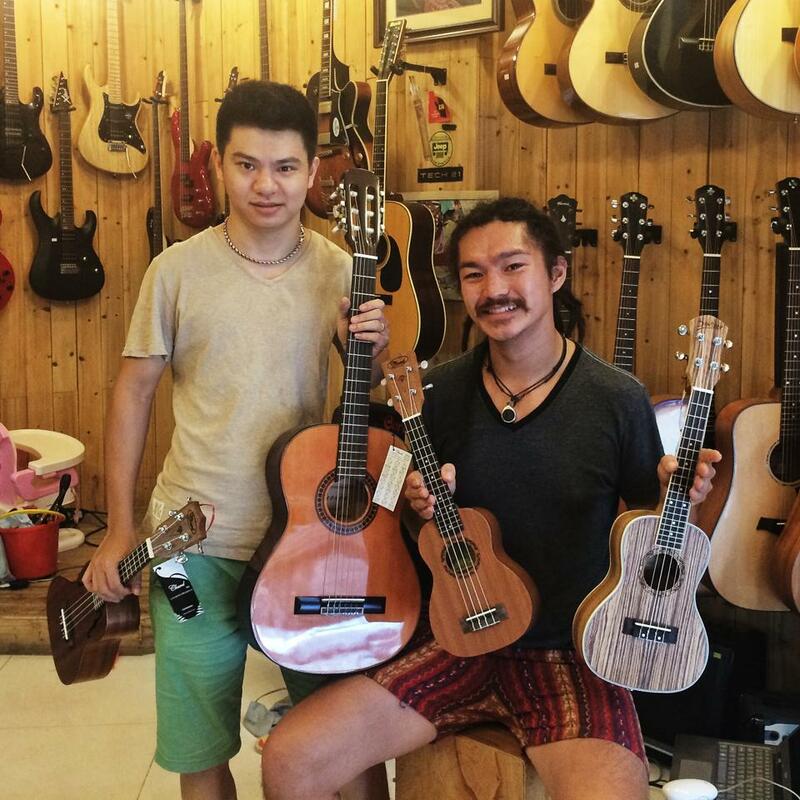 Instrument sponsorship from Trần Thắng, one of Vietnam's most famous guitarists and owner of Hanoi's best guitar shop. 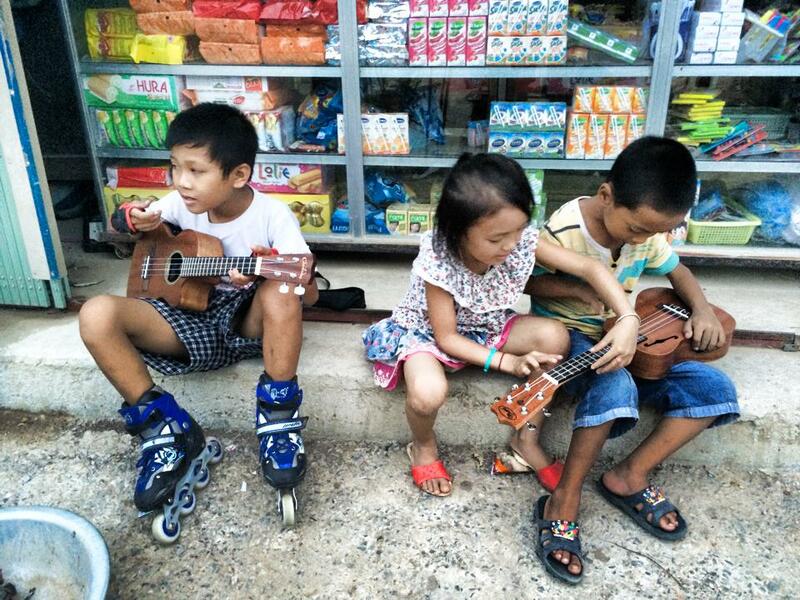 Our students in Phong Nha exploring their new ukuleles. Our first concert in Phong Nha, a town that has never seen anything like this before. Forty-two days before this video was shot, I started the Bamboo School with two ukuleles on my back. By next month, we will have three schools operating throughout Vietnam. An impromptu gypsy jazz session at the North Gate Jazz Collective in Chiang Mai, situated exactly across the still-standing 1000-year-old North Gate of the ancient wall and moat that used to surround the city of Chiang Mai.